'TisThe Season! Get into the Holiday Spirit with these Festive Christmas Crafting and Coloring Books! 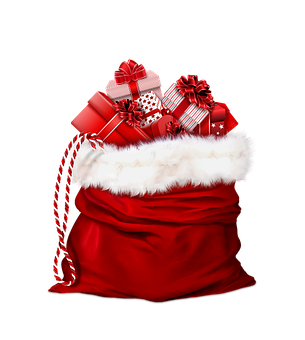 Are you getting excited for Christmas yet? I certainly am! I don't have my Christmas tree up yet, but I am having fun making my Christmas lists and making Christmas crafts. There's no better way to get your children and yourself excited for the holidays season than with some fun and festive Christmas crafting and coloring books like the ones I received from Fox Chapel Publishing! Christmas Papercrafting: Holiday Cards, Gift Tags, and More! 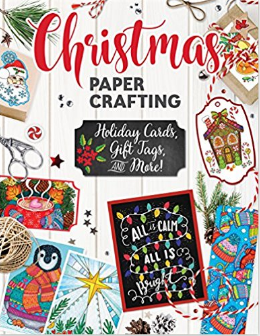 Inside Christmas Papercrafting, you'll find everything you need to celebrate the season with festive papercrafts, from greeting cards and mini cards to gift tags and bookmarks, all beautifully illustrated with joyous imagery and merry sentiments. Cute Christmas Holiday Coloring Book: These adorable kitties, puppies, and other critters may be on the naughty list—but they're still really cute! 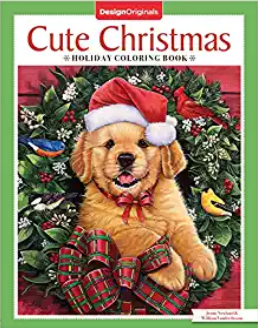 Have yourself a furry little Christmas with this heartwarming coloring book featuring happy pets in festive settings. 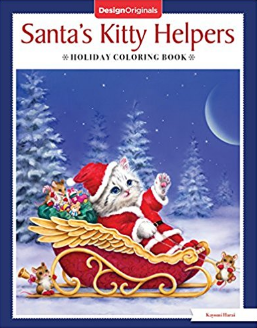 Santa's Kitty Helpers Holiday Coloring Book: If you love cats and you love Christmas, get ready for hours of relaxing creativity! The expressive-eyed furry friends depicted in the artistry of acclaimed illustrator Kayomi Harai have a wonderful way of capturing hearts. Now her delightful felines are even melting Santa's heart in this adorable Christmas coloring book. Fox Chapel Publishing inspires and informs readers who enjoy a wide variety of hobbies, crafts, and lifestyle interests. The company specializes in illustrated nonfiction with a focus on artisan and high-quality craft books. Fox Chapel publishes more than 1,200 book titles and three quarterly magazines, including DO Magazine, the #1 coloring magazine in its class. The publisher's imprints include CompanionHouse Books, Design Originals, IMM Lifestyle Books, and Creative Homeowner. For more information, please visit foxchapelpublishing.com.